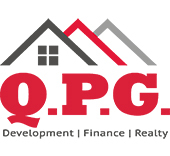 The people behind QPG have been involved in land development since 2002. Since our inception, QPG has been an integral part of community progression and land development within the growing region of South East Queensland and in particular, the Ipswich district. QPG House & Land specialises in residential land development and affordable housing solutions, having the most extensive project management portfolio within the city of Ipswich. Our company has carried out 9 residential projects in the past decade and sold more than 1130 lots since our initiation. Through focusing on Ipswich, QPG has been able to assist in the region’s growth, allowing investors and first home buyers to create substantial wealth through capital appreciation on their property acquisitions. Our company is dedicated to delivering affordable housing projects to an area that has a definitive need for housing. For many years, QPG has been the private sector’s pacesetter in establishing new communities. We also play an active role in supporting the wider community in which we operate. We sponsor charitable organisations and community events throughout Ipswich and the state of Queensland. Our company is committed to making a difference and our contribution will continue to be an integral component of our holistic business philosophy. Our company also takes on our own marketing, sales and finance to ensure quality of services to our customers. Welcome to Custom Cars by Clay on the web – we’ve finally found some time to put the tools down and get a site under construction. Please bear with us as we iron out any faults with the site and check back for regular updates. If there’s something you’d like to see on the site feel free to contact us to let us know and we’ll see what we can do. If you’re a customer and you can’t find your car here there is a large possibility we were too busy and didn’t get a photo of it while it was in the shop – please flick us some photos of it so we can add it to your customer cars section. Over 400 000 Photos online from all meets and races. Dragphotos has a combined 30 years in the photographic game and aim to get the best shots available every time. Using nothing but the most state of the art equipment enables the best and nothing but the best every time. Feel free to peruse the galleries and order online or drop us an email at sales@dragphotos.com.au for any enquires. Ordering but dont have Paypal… email us to direct deposit. Direct Clutch have been operating since 1988 in Brisbane, Queensland and supply clutch kits and clutch parts Australia-wide and internationally. We are manufacturers and distributors of clutch kits for the widest possible range of domestic, commercial and industrial vehicles to Brisbane and the world. Our Brisbane warehouse can supply all the clutch accessories you will ever need. If you can’t find what you are looking for – give us a call! OEM Replacement Clutch Kits for every car, truck, van and ute. Clutch alignment tools for 1000’s of clutch kit combinations. McManaway Earthmoving is a well established earthmoving company. Our machines are modern, well maintained and meet all Australian safety requirements. We are very serious when it comes to our safety standards. All sites are set up with safe work management plans, Safe work method statements. Site induction and hazard identification procedures. We strive to achieve the highest standards and delivering quality results for our clients. All our operators and office team are highly experienced to insure your job is completed ahead of expectation. We are dedicated to ensuring all work is undertaken safely and pride ourselves on effective communication to ensure the job is done correctly. We are fully insured and licenced.